So, you already know that pool covers are something that swimming pool experts call a “good idea.” You grasp that they prevent leaves, dirt and debris from entering the pool. You’re aware that they extend your swimming season. And you’re fully seized of the fact that, because they prevent evaporation, they can reduce you’re pool’s running costs by at least 50% a year. And you’ve done your homework. You know that evaporation accounts for 70% of the heat loss from a swimming pool. And, because your homework this week included maths, you’ve worked out that for every 1 liter of water that evaporates from a standard 32 m2 pool, the pool temperature is lowered by approximately 0.0045ᵒ C.
That might not sound like much except that, at a water and air temperature of 25ᵒ C, water evaporates from a 32 m2 pool at a rate of 11 liters per hour! So, without a blanket, your pool looses 0.05ᵒ C of heat an hour, or 1.2ᵒ C a day – more if it’s windy or hotter. 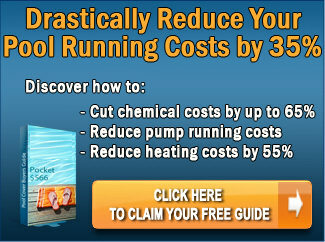 What’s more, evaporation doesn’t just reduce pool water and heat; it reduces the pool chemicals. Solar Pool Covers or Thermal Pool Blankets? Which of the two most popular types of pool cover should you choose? The answer is it depends on what you want to achieve. Each offer different benefits. And, to be fair, each has different limitations. Solar pool covers are less expensive than thermal pool blankets, costing in the range of $150 to a little over $1,000 depending on the size of your pool and the thickness of the cover. 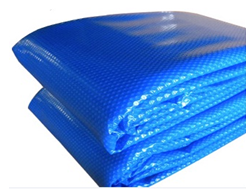 Sometimes referred to as bubble covers since they resemble bubble wrap packaging, they are made from lightweight, translucent polythene or polypropylene. The air bubbles absorb warmth from the sun and transfer the solar energy to the pool water, thereby heating the water. Solar pool covers are the only type of cover that actually heat your pool; and a good quality, well-fitted one will heat the water by up to 8ᵒ C.
The downside, however, is that they only heat the pool during the day, and their ability to retain the heat at night is not as good as a thermal pool cover. Having any pool blanket on at night though will prevent a lot of evaporation (which is the main cause of heat loss). 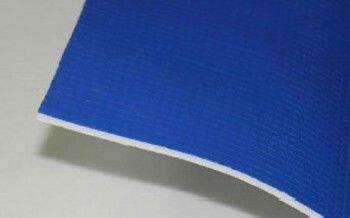 Solar pool covers come in different grades of thickness (from 250 micron to 600 micron – the best is 400 & 500 microns). Thicker covers are more expensive, but they are slightly more efficient at retaining heat and they last longer. They also come in different colours: the most common being clear, blue, and blue and silver. In terms of their heating and heat retention qualities, there’s a lot of debate about which colour is best. Some argue that darker colours absorb more heat while others say that a clear colour will allow more heat through. 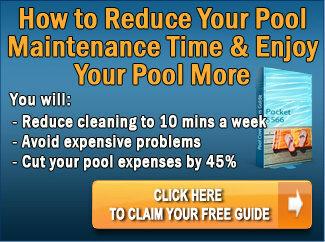 Because solar pool covers are lightweight, they are very easy to install. Basically, in order to fit them to the shape and size of your pool, all you need is a pair of scissors. However, for a solar pool cover to be really efficient, you do need to ensure that it fits snugly all around the pool sides and doesn’t leave areas of your pool surface uncovered and exposed. This can be a challenge in windy conditions, especially for thinner grades of thickness which tend to be easily blown around. Solar pool covers aren’t designed to be stepped on. If you are looking for extra pool safety, then a rigid pool cover or safety net is for you. Finally, solar pool covers deteriorate after prolonged exposure to sunlight and, therefore, have a relatively short lifespan. The thinnest and cheapest grades might only be good for a year or so, and the thickest grades are can last 6 or 7 years. So don’t expect your solar pool cover is going to become a family heirloom! The first thing you need to know is that, unlike solar pool covers, thermal pool blankets don’t heat the water. What they do, however, is retain the heat, and they do it well. A good quality and well fitted thermal pool blanket is capable of retaining around 75% of your pool water’s temperature. If you have a heated pool, that’s a big deal – and translates into a potentially huge energy cost savings. Thermal pool blankets are essentially insulators. They are made from thick, waterproof polyethylene foam. The outside of the thermal pool blanket totally blocks sunlight and UV rays that may encourage algae growth from entering the pool. The underside of the thermal blankets is impermeable to both water and pool chemicals. The downside, though, is that thermal blankets are a lot more expensive than solar covers. Prices for a standard size pool start at only a little south of $1,000. And, because they’re reasonably heavy, they absolutely need a roller in order to cover and uncover the pool – and rollers take up space, and may be a tripping hazard especially in a compact poolside environment. Also, unlike solar pool covers, they generally require professional fitting and installation. That said, though, thermal pool blankets don’t deteriorate as quickly through exposure to sunlight, and, as a result, last considerably longer than solar pool covers. It’s not unusual for a high quality thermal pool blanket to come with an 8 year warranty, and it’s totally reasonable to expect them to have a lifespan of at least 10 or more years.